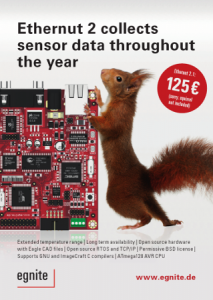 egnite develops, produces and distributes intelligent sensor systems, embedded systems and media control systems. The company was founded in 1997 and is based in Castrop-Rauxel, Germany. egnite has gained international renown for its committed involvement in the open-source project Ethernut (Nut/OS). At the end of the 1990’s several developers begin to implement TCP/IP on 8-bit microcontrollers. TCP/IP controls the Internet data exchange between computers in local networks as well as online. The aim is to make low priced, energy efficient small systems network compatible. At this time, Dave Hudson, a software developer from Great Britain is working on “Liquorice,” an open source operating system with TCP/IP Stack, optimized for 8-bit microcontrollers. 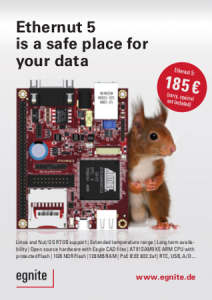 At the same time Harald Kipp, the developer and owner of egnite GmbH starts devising the appropriate hardware for this; an AVR microcontroller board adapted from the Atmega 103 and the Ethernet controller RTL8019AS. He calls this hardware “Ethernut,” a play on words, which encompasses both the Ethernet capability as well as the minimal size of the board. As Dave Hudson ceases working on Liquorice, Harald Kipp continues, with a project he calls “Nut/OS” that further develops software according to his objectives. In 2001 he registers Ethernut and Nut/OS with SourceForge. as a combined open source hardware and software project. Shortly after this there are numerous enquiries for Ethernut boards and a small batch goes into production. 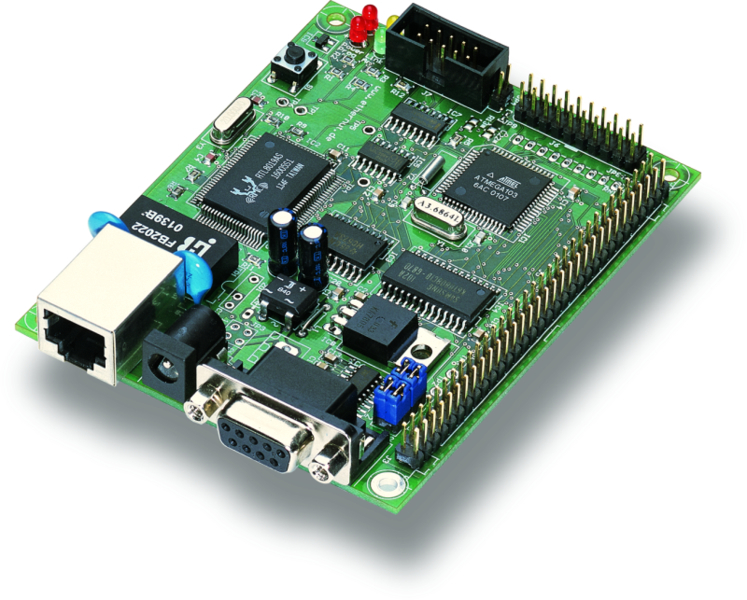 At first universities, research institutes and those with an interest in microcontroller boards are the main purchasers, but with time commercial interest grows. The first large contract that egnite obtains is for 50 boards that comes from a Japanese building automation company.